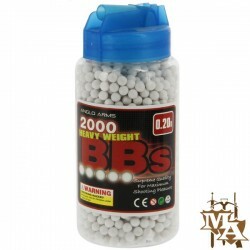 Gas BB Guns - Master of Arms LTD.
2000 x 0.20g high grade polished white BB's in a speed loader. 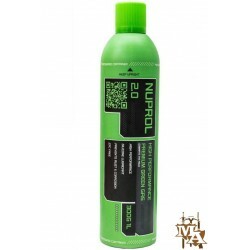 Nuprol 2.0 Premium Green Gas 1000ml (300g) WE Europe WE Europe high performance Nuprol 2.0 green gas is a powerful and reliable gas for use with all gas airsoft guns and is recommended for use with WE Europe products. NOTE! 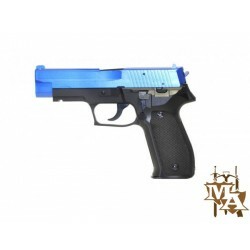 : This gas may be unsuitable for certain guns (like Tokyo Marui plastic slided pistols) - please refer to the relevant manual. 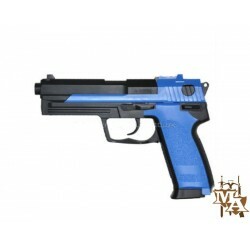 Pistol Case Special Edition Four Pistol by Plano Rugged ribbed construction, recessed latches and padlock tabs. 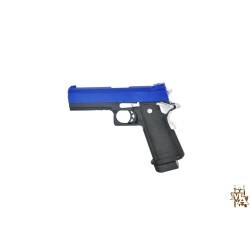 High-density foam protection.Measures 16.5" x 14.25" x 5.25" internally.